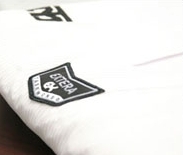 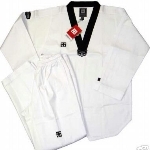 Approved by black belts, experts, masters, and grandmasters, Pride uniforms are made with high quality materials to prevent odor and bacteria build up. 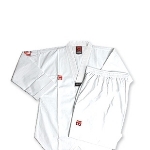 Made of 55% cotton / 45% polyester dobby fabric for a comfortable and stylish fit. 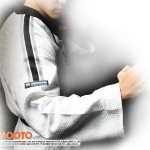 Unique 5 stripes on shoulders and pants with striking embosssed design on sleeve and an attractive blue-colored "MOOTO" logo embroidered on chest. 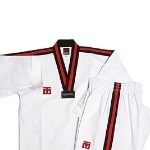 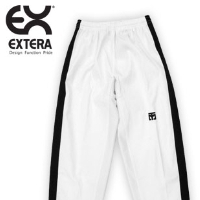 Basic uniforms are made with high quality materials to prevent odor and bacteria build up. 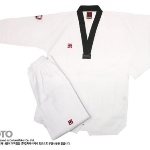 High Poom uniforms are made with high quality materials to prevent odor and bacteria build up.